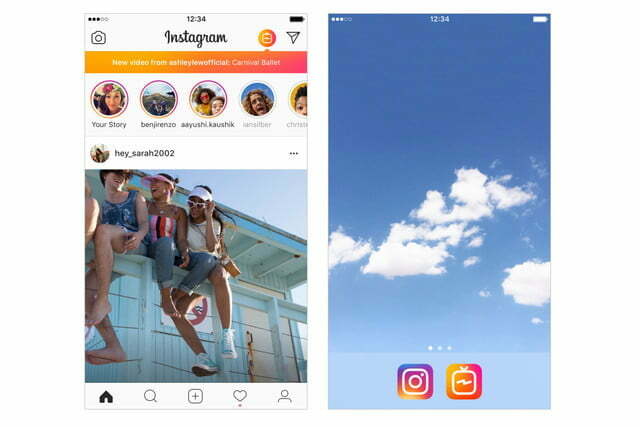 Instagram is celebrating a billion users by giving video platforms a twist with a new app designed for vertical, mobile-first video. On Wednesday, June 20, Instagram officially launched the previously rumored IGTV, a spot for vertical videos up to one hour in length with Story-like fullscreen swipe controls. 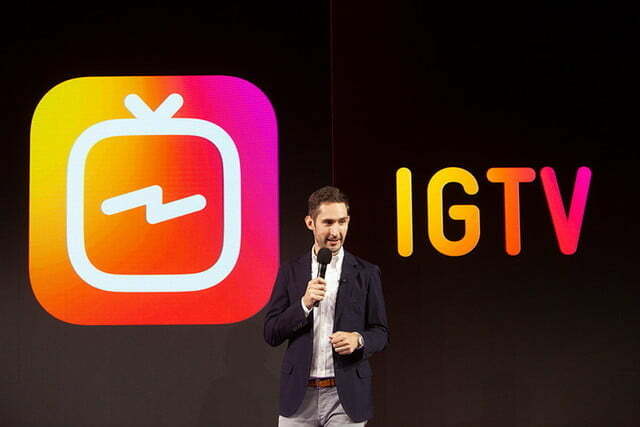 The new video-focused platform that Instagram co-founder and CEO Kevin Systrom calls “our most exciting feature to date” is both a separate app and accessible inside Instagram. Rather than working as a YouTube or Facebook Watch clone, IGTV feels more like a mix between Stories and the more traditional online video platforms because of both the user interface and the fact that IGTV is a mobile-first platform. That smartphone focus means IGTV uses the vertical videos that don’t require rotating the device for a full-screen view. Instead of interrupting that full-screen view with navigation controls, IGTV uses swipe-based gestures to navigate to different videos. The app will open directly into a video that starts playing automatically, not a home screen to pick and choose videos. 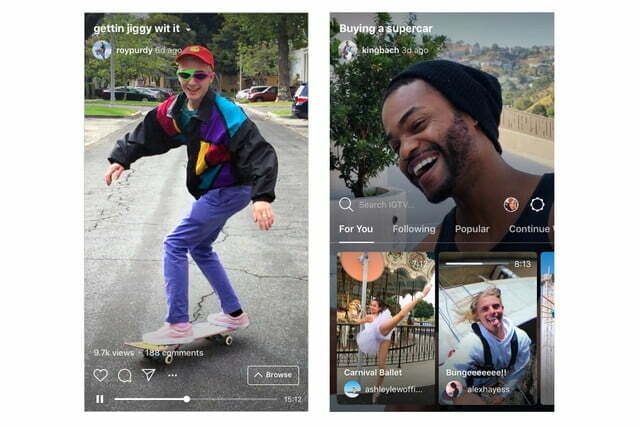 A swipe up, Instagram says, will pull up additional videos, sectioned off into tabs for different categories, including For You, Following, Popular, and Continue Watching. That swipe up navigation also includes a search tool. While the full-screen design and gestures feel more like watching Stories, IGTV borrows a few more expected features from platforms like YouTube and Vimeo. The platform is divided into channels, with one channel for each user. And while IGTV is designed for mobile viewing, the videos can be uploaded through the app or from a desktop. IGTV has a one-hour time limit, a big jump from Instagram’s one-minute cap on videos shared inside the feed. The videos also have the same like, comment, and direct shortcuts as content in the Instagram feed. IGTV will be a separate Instagram app, but the long-form videos will also be integrated into Instagram itself. Instagram shared a screenshot showing the familiar Instagram but with an icon for IGTV with pop-out notifications. IGTV continues the focus on video for Instagram’s parent company, Facebook. As video stats for online interaction continue to climb, Facebook has made several moves to encourage video sharing across the company’s different platforms. On Tuesday, June 19, Facebook expanded videos with new polls and an interactive game show-like feature for creatives. Instagram’s one-minute cap has kept the video focus on short-form sharing — at the company’s latest earnings call, Mark Zuckerberg had called Stories the future of video sharing. 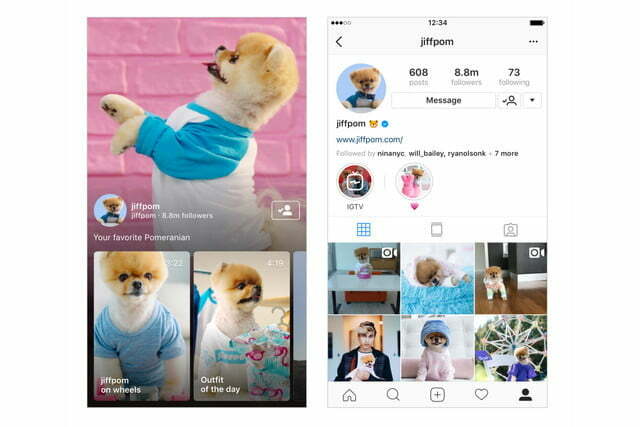 The popularity of Instagram Stories over other apps variations suggests a video app with similar features may do well among the Instagram crowd, but just how well is yet to be determined. Instagram is a popular home for professional photographers as well as casual users and social influencers — IGTV’s vertical format could mean more influencers sharing than pro-videographers. Instagram says IGTV is coming out “over the next few weeks” for both iOS and Android.